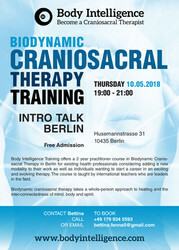 Body Intelligence Intro Talks are designed to provide a taste of this exciting and evolving body therapy science. 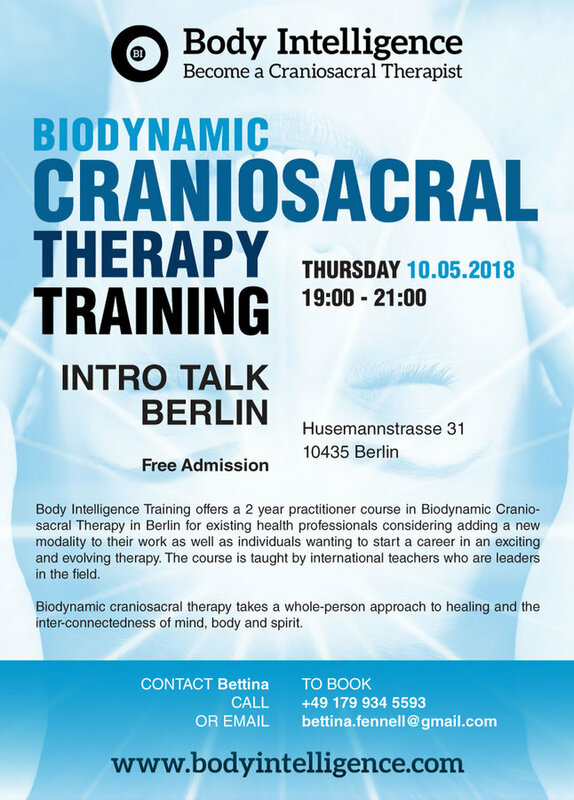 You will explore through a lecture and self experiential exercises the nature of Health and how to feel the expressions of Health as subtle biodynamic motions in the body. We will discuss trauma and how its effects are safely resolved with BCST. You will have a chance to meet some of the course tutors and discuss the course structure and material. Email bettina.fennell@gmail.com if you have questions and look at www.bodyintelligence.com for more details.